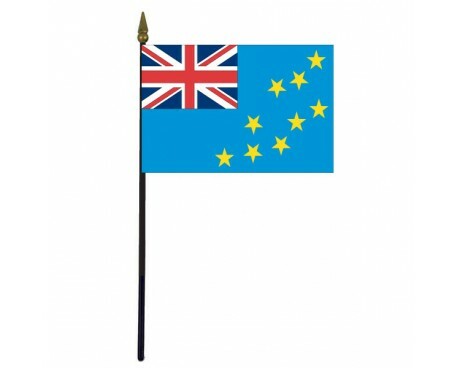 Tuvalu Stick Flag - 4x6"
Many nations in the Pacific Ocean can trace their heritage back through the British Empire, but few of their flags reflect that fact as clearly as the Tuvalua flag. 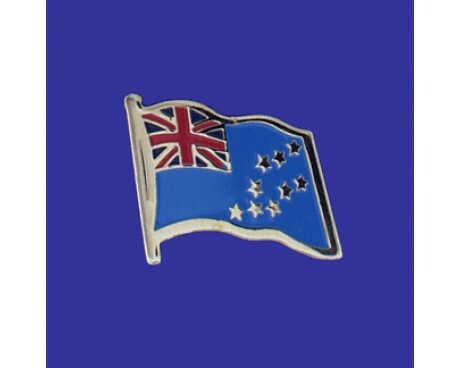 The flag of Tuvalu maintains clear links to the colonial flags that represented the nation while it was part of the British Empire, but it also has unique features that help to give the Tuvalu flag meaning as a symbol of the modern nation as well as a symbol of the country's history. The modern flag of Tuvalu is derived from the nation's colonial flag. It has a light blue field that proudly displays the Union Jack of the British Empire in the canton and a set of nine yellow stars in the fly. 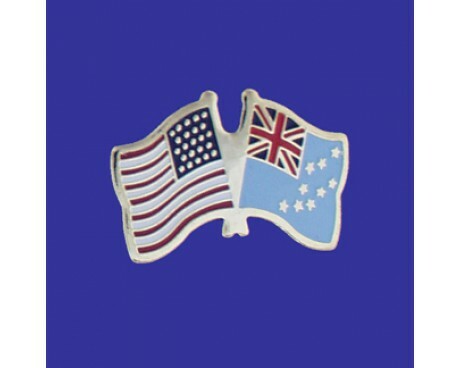 The stars represent the islands of Tuvalu, and their arrangement on the flag mirrors their arrangement in the Pacific Ocean. The rest of the flag is dedicated to giving the Tuvalu flag meaning as a symbol of the nation's place as a Commonwealth realm. The Union Jack is a traditional symbol of the British Empire, and its use on the Tuvalua flag represents the nation's close connection with Britain through its colonial history. That symbolism is reinforced by the fact that the flag's design is derived from the standard model for colonial flags in the British Empire. Tuvalu was once part of the British colony of the Gilbert and Ellice Islands, and the flag of that colony was the first to represent the islands of Tuvalu. It followed the same pattern as most flags in the British Empire, with a blue field that displayed the Union Jack in the canton and the colonial seal in the fly. The seal featured a red shield that depicted the sun rising over the sea. Tuvalu separated from the Gilbert Islands in 1974, which eventually led to the adoption of a new flag in 1976. The new flag followed the same pattern as the old one, but it featured a new seal that included elements that were unique to the culture of Tuvalu. The modern flag came into use in 1979, although a star was removed from it in 1995 and the entire design was replaced in 1996. 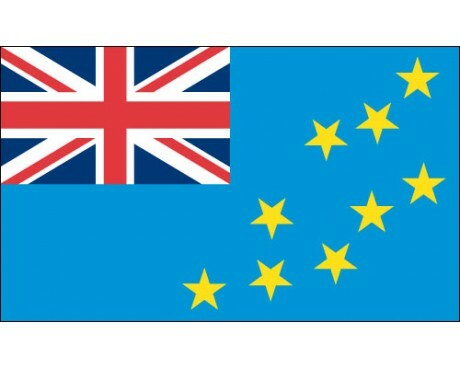 The replacement design proved to be so unpopular that the flag of 1979 was reinstated in 1997, and it has represented Tuvalu ever since.